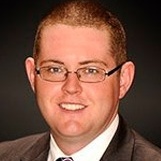 Christopher Ryan Wilshire | Wilshire Consultants Inc.
Born on January 28, 1989. Graduated Texas Christian University, 2011, with a degree in Communications and Business. General Securities Representative with H. D. Vest Investment Services SM. Secondary Education at Calvary Christian Academy in Fort Worth, Texas. President and Operations Manager at Wilshire Consultants, Inc. since January, 2009. Owner and Manager of Rockin W Cattle Co., LLC, Manager of Hay Operations at Salt Lick Ranch, Owner and Manager of Summit Outdoors Inc, Managing Member of Sparto Wilshire Ranches, LLC. Member of Wilshire Wealth Management, LLC. Eagle Scout - Boy Scouts of America (2007), Trophy Game Records of The World - Youth Hunter of The Year (2001-2002). TCU Texas Youth Entrepreneur of the Year Award (2007). Recognized by Who's Who In Colleges and Universities (2011), The Calvary Gold Award for Outstanding Accomplishments in Entrepreneurship (2007).